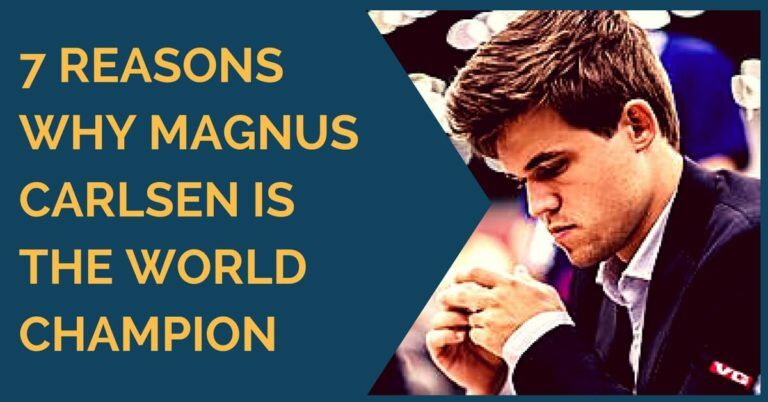 Magnus Carlsen is not just any chess player. In 2004, he became a grandmaster at the age of 13. In 2010, at the age of 19, he became a youngest ever chess player to be ranked number 1 in the world. In 2013, at the age of 22, Carlsen became 16th World Chess Champion. After becoming a world chess champion he was asked what would he prefer: being world’s number 1 or having a world chess championship title? He shrugged his shoulders and said, both. 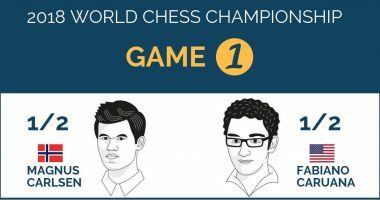 We present a pictorial report of the entire Carlsen’s chess career, a timeline from 2000 to today. 1. Young Magnus Carlsen does what he does best: winning chess games from an early age. 2. Carlsen is 10 and rated about 2000. He is already in the top 100 chess players in Norway. 3. 13 year old and 2300 rated Magnus Carlsen playing Kasparov in Iceland, Reykjavik. The game ended in a draw. 4. Carlsen’s family photo in 2004. All his sisters play chess as well, on the National level. 5. Magnus Carlsen is playing against Anatoly Karpov. 6. Carlsen is playing in the elite, invitational chess tournament in Netherlands. 7. Magnus, 2550 rated, is playing in the final round of Norway’s National Championship 2005 versus his coach Simen Agdestein (currently the second highest rated player in Norway). 8. 16 Year old Carlsen, 2675 rated, places 2nd in the Linares International Chess Tournament. 9. Blitz chess tournament in Oslo. 10. Vishy Anand and Vassiliy Ivanchuk are observing Magnus Carlsen playing in the 2008 Bilbao Chess Tournament. Little did they know that this kid will become a 16 th World Chess champion in 5 short years. 11. 2770 rated Carlsen is playing in a simultaneous exhibition in Oslo. 12. Carlsen vs. Anand in World Blitz Championship 2009 in Moscow. 13. In 2009 Garry Kasparov becomes Carlsen’s coach. The training continues for one year. Carlsen later states that he gained a lot of priceless knowledge about his competition from Kasparov. 14. Magnus Carlsen in chess tournament in China. 15. Carlsen is playing in London Chess Classic in 2009. 16. Magnus Carlsen is playing in Central Park in Manhattan, New York. 18. Carlsen is playing simultaneously with an American rock band Red Hot Chilly Peppers in 2011. He is already over 2800 rated and the world’s number 1. 19. Magnus plays chess in Norway mountains. 20. Carlsen with Apple’s chairman Arthur Levinson. 21. Carlsen with a chess board at London’s famous Ferris wheel: London Eye. 22. Carlsen during one of the chess tournaments. He really looks exhausted. 23. Magnus Carlsen made Time’s 100 Most Influential People in the World List, 2013. 24. Carlsen is playing tennis to stay in top physical shape. 25. Carlsen is playing at Sinquefield Cup, 2013. 26. Magnus Carlsen with Susan Polgar. 27. Carlsen is playing at the Biel chess Festival. 28. Carlsen is playing at London Chess Classic. 32. Magnus Carlsen celebrates his new World Chess Championship title in the pool, in Chennai, 2013. 33. Magnus Carlsen’s FIDE rating chart. He is 2872 rated as of December 2013. Do you think Magnus Carlsen will break 3000? Comment below! 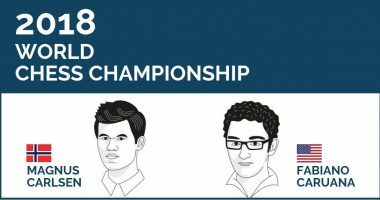 World Chess Championship 2018 – What You Need to Know? Cool these are amazing! Do more image reports like that! Eric, thanks for the clarification! Anon2, maybe 3000 is currently hard to achieve, but with rating inflation.. it can become a reality. #22 was just after he had won the Candidates tournament in March 2013. Picture number 10 is really powerful!